Join Diane at her blog, "A Picture is Worth a 1,000 Words" for 2nd Time Around. 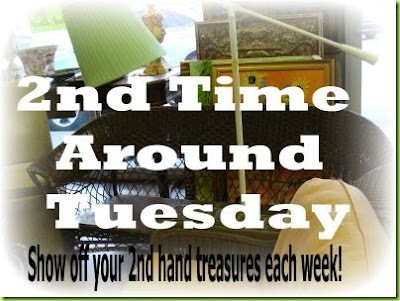 This is a weekly party to show off your thrifty secondhand treasures. 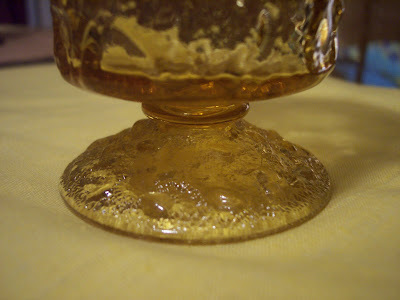 I am showing these thrifty finds because they will be used in my tablescape this Thursday. 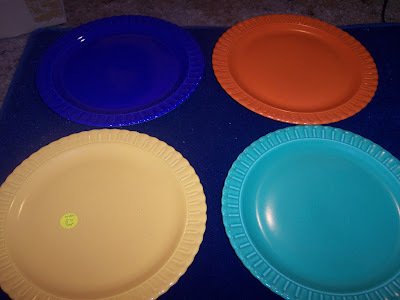 I got the plates at the flea market. They were marked $5.00 for the set of four. I got a bargain (see below). The other 2 items were bought at yard sales this past summer. 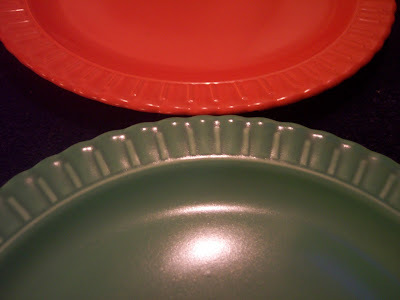 I got these 4 stoneware dinner plates for .25 cents each. 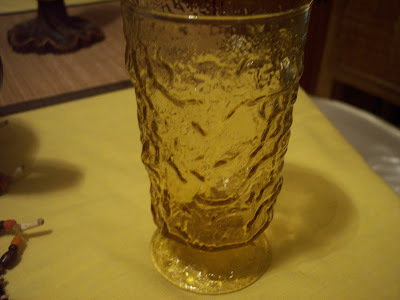 These cool vintage pedestal amber glasses were 6 for $2.00. I thought these were just unique enough to have to buy them. LOL. They are candle holders. They were $1.00 for the 2 of them. Love your thrifty finds! I bet your tablescape will be great with those plates. Thanks for linking with 2nd Time Around! That was a great deal on the plates. 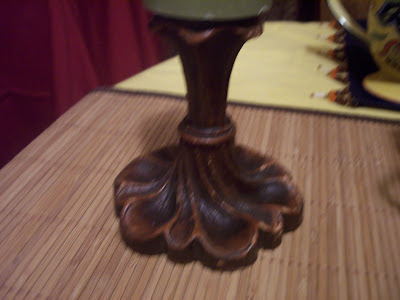 I love the candlesticks! I can think of a lot to do with those. I sure love a good bargain... especially if it has the word "candle" anywhere in it! Such good bargains. I love those plates! Can't wait to see your tablescape! The candle sticks looks very interesting. 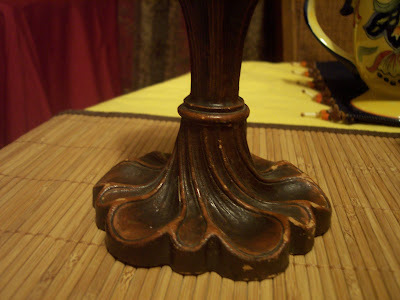 Very nice finds and great prices, can't wait to see how you use them in a tablescape. What a steal! You'll have a very nice tablescape.